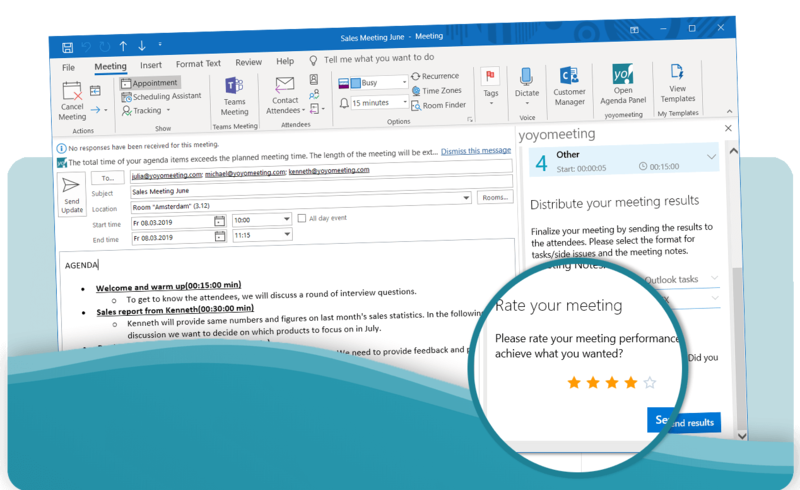 Distribute all meeting notes, personal tasks and decisions with one click to everyone who needs to know. With our efficient meeting tool, recording meeting results is most easy (and almost automated)! 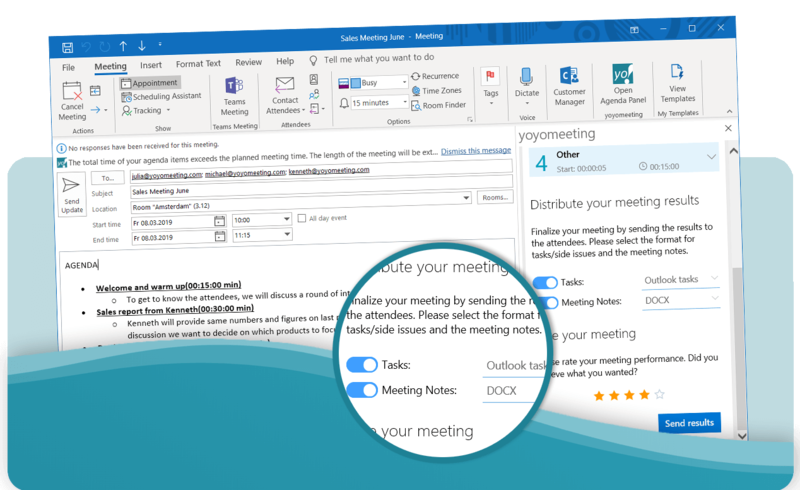 Just select the format, in which the results should be sent to your meeting participants – and they will receive it before they are back at their desk. And your work is done on the documentation side. 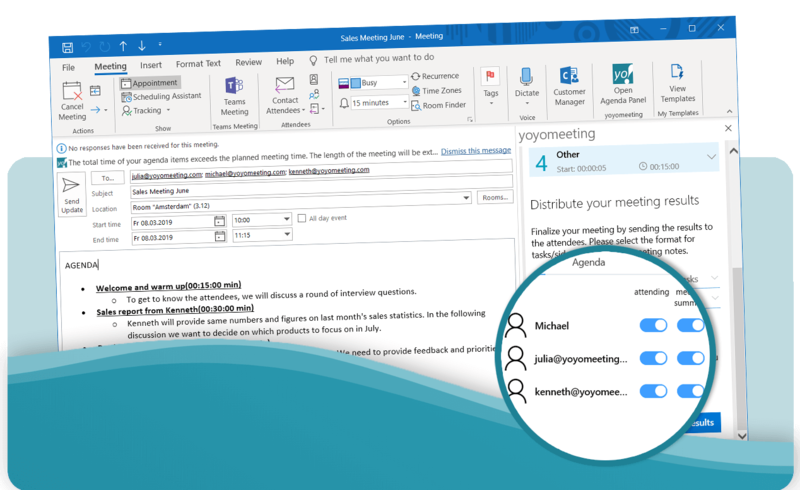 Instead of having a long general list of tasks buried deep down in a meeting protocol, yoyomeeting sends individual tasks to the responsible person’s inbox. Then the participant can turn the task into the most preferred format (Outlook Tasks, Planner, …) and get going. No task will ever disappear since it is assigned directly to the right person and without any clutter. Everybody gets informed who needs to know. 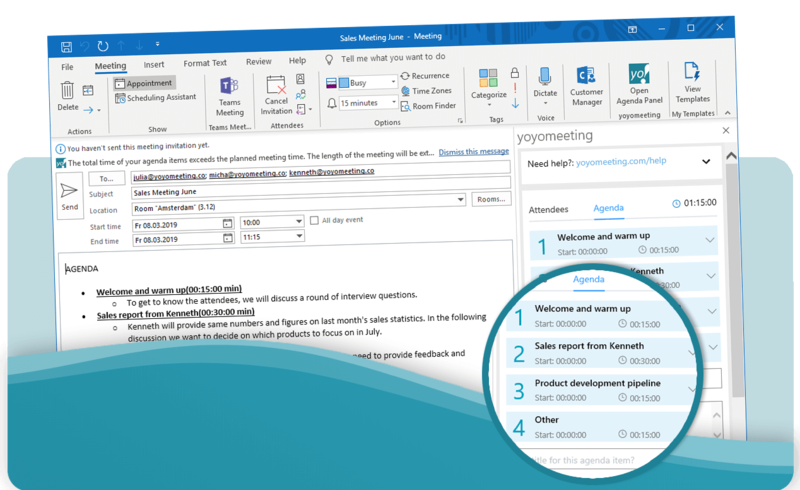 In yoyomeeting you can record who attended the meeting and whether these people should get the meeting results in the follow-up. On the other hand, you can add more recipients who should get the meeting results as information. For recurring meetings (e.g. staff meetings, board meetings, etc.) with the more or less same agenda, just save your agenda as a template. That way, you can load it when preparing for the next meeting iteration and update the agenda template items to your current needs. More than a meeting tool - read the benefits!